When it comes to gluten allergy, many people tend to think that it's just a nickname of celiac disease or gluten sensitivity. Though sharing similar symptoms, they're quite different. Gluten allergy occurs when your body develops allergic reactions to a glycoprotein called gliadin. Gliadin and another protein glutenin help to form the gluten protein in wheat and other common grains like barley, rye, and oats. One of the most common foods in our diet is wheat. Not only is it found in the pastas, breads, and baked goods we consume, but it is also an ingredient in many other processed foods. But how do you know if you have a gluten allergy? If you have any of the following symptoms, it could be a sign that you are. • Swelling of the lips. • Anaphylactic shock (in extreme cases). • Itchy skin and/or rash. It's important for parents to monitor their child's symptoms if they suspect a gluten allergy. This allergy may go into remission only to return later in life. The most dangerous symptom of a wheat allergy is anaphylaxis, a potentially life-threatening allergic reaction. Anyone experiencing anaphylaxis from a wheat allergy can find themselves wheezing, coughing, difficulty swallowing, an increase or decrease in heart rate, and they may experience a dangerous drop in blood pressure. Anaphylactic shock is a medical emergency, so if you or someone else experience these symptoms, seek medical attention immediately. Am I allergic to gluten? You ask. Well, there're several tests for this. A gluten allergy is oftentimes difficult to diagnose. Many other conditions can create similar symptoms to gluten allergies, including celiac disease and gluten intolerance. Additionally, symptoms can vary in severity depending on the individual. The only way know for sure is to have yourself tested. 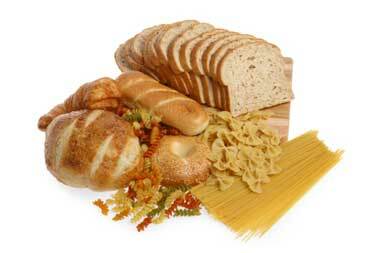 The first test used to ascertain whether someone has gluten allergies is with an elimination diet. With an elimination diet, people who suspect a gluten allergy removes foods that contain gluten, such as pasta, or wheat, from their diet for a length of time to determine if the symptoms are resolved. Unfortunately, an elimination diet will not completely rule out a gluten sensitivity, or celiac disease. A food allergy test such as a skin prick test, or pricking the skin with a needle or pin containing a small amount of the allergen can and do show gluten allergies. However, celiac/gluten intolerance is not an allergy, and the skin tests for allergies will not show it. There are blood tests for celiac/gluten intolerance, but there can still be some false negatives. Therefore, it’s usually followed up with stool antibody testing to see if you are throwing gluten antibodies into your stool. Another way to test for gluten allergies is a cell-mediated test or IgE test, which times the reactions to various skin tests or allergens. A stool test, along with a blood test for gluten intolerance, is usually recommended because it’s possible to test positive for a food allergy reading, but test negative for gluten sensitivity test for the grains that contain gluten, or the other way around. The reactions can vary by individual, from gastrointestinal (most common) to the skin and/or respiratory. If the diagnosis of gluten allergies is positive, and celiac disease has been eliminated as the cause of your symptoms, you can determine how much gluten you can allow in your diet. If you have gluten allergies, avoiding the gluten altogether might resolve the symptoms, leave you more energized, and with an improved quality of life. However, wheat is a predominant grain used in many products, and removing it entirely from your diet could be difficult. 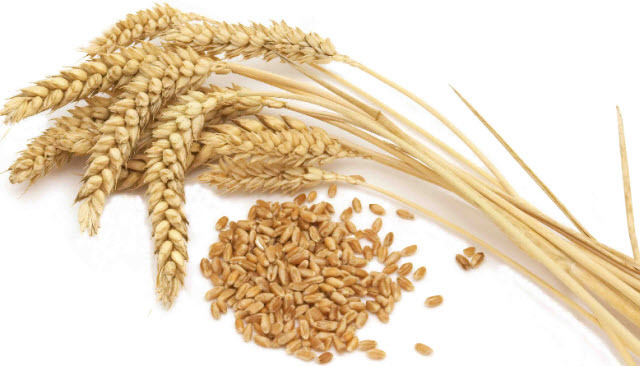 Because oats, barley, and rye contain gluten, the list of other grains becomes scant. Alternatives can include tapioca, corn, rice, amaranth, corn, rice, and quinoa.